LOVE these towels! So beautiful, so fluffy-I feel like I'm at a luxury spa every time I take a shower! I've washed them several times and they are still exactly the same as when they were new! Overstock has the best products at such great prices. 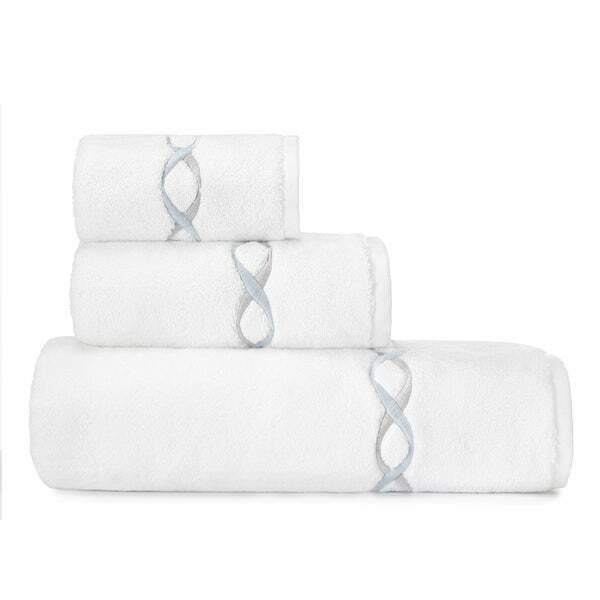 Wrap yourself in comfort with this three-piece towel set from Vera Wang. This soft cotton terry material feel comfortable while the chevron embroidery design will look great in any bathroom. 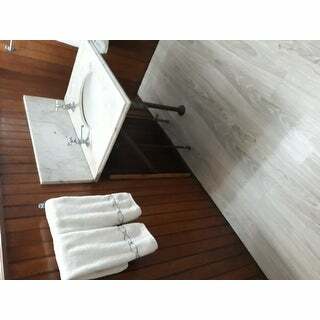 With a bath towel, hand towel, and washcloth, this set has everything you or a guest may need for a successful bathroom routine. 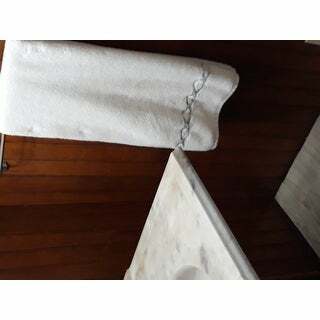 Very pretty, elegant towels. The subtle ribbon embroidery is lovely and very well exucuted. The towels are thick and soft and I highly recommend them. I will likely be ordering a few more sets in the near future. Just ordered my third set! "Is this for the Chevron pattern or the ribbon pattern? It says Chevron but the review shows a pic of ribbon." The price for the set on sale is $51.28, but yet when it was processed it was subtotaled at $56.91, what is going on here. Not impressed.